*Full Spectrum CBD Oil is a different extraction process from our CBD Isolates. 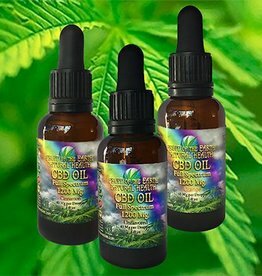 This whole plant extraction does not remove valuable cannabinoids such as CBN, CBG and CBV which have many properties. This process also leaves in terpenes, which have their own value and give plants their scent and taste. Our Full Spectrum oils contain omega-3 fatty acids from flax-oil as well as organic olive oil to increase absorption and bio-availabilty. While these products seem different they both have their own intrinsic value that each of us respond to in our way. We encourage you to try them for yourself and determine what works best for you. 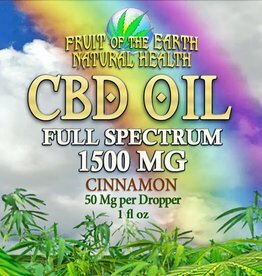 We offer assorted strengths, from 150mg to 2000mg, in Unflavored, Orange and Cinnamon. We also include Turmeric and Ginger essential oils to further help alleviate inflammation. *Omega-3 plays a critical role in maintaining proper functioning of your endocannabinoid system. Without enough omega-3 in the diet or through supplementation, you won't receive as great a benefit from taking CBD oil. - Keeps the receptors healthy and functioning properly. - Helps synthesize cannabinoids within the body. - Helps keep the omega-6 to omega-3 ratio low. Needed to maintain healthy membranes that can support the receptors. - Helps create the enzymes needed to produce or degrade cannabinoids as needed to regulate the whole system. 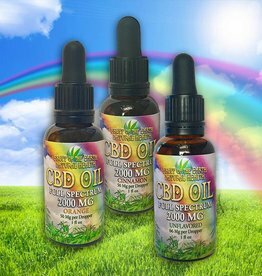 Ingredients: 1500 mg Full Spectrum CBD Oil from Organic Hemp, Organic Olive Oil, Tumeric, 3.8 grams Omega 3’s Flax Seed Oil, Ginger, Organic Essential Oil.